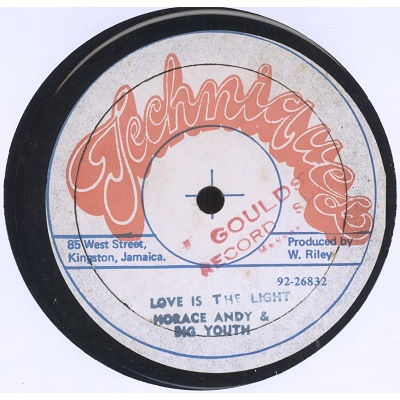 Great extended version of the famous 'Stalag' riddim featuring Horace Andy followed by Big Youth. B side label states 'Johnny Osbourne / Hi-Jack' but it seems to be a misprint as it's actually the instrumental version featured. One shop stamp on one label. Shiny record plays solid VG+, nice original Jamaican pressing!